January shows that homes remain hard to find in January, and that has had an outsized effect on the HSI in this report. Is it legit? Lets go to the prices to see. 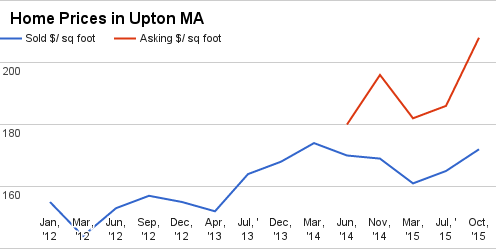 Upton is responding to the tighten market by commanding higher prices, up sharply over last year. 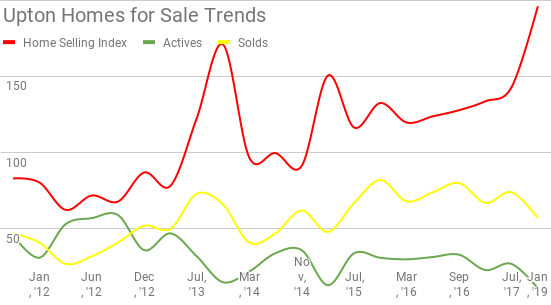 Sellers are staying out in front of it, but not too far. 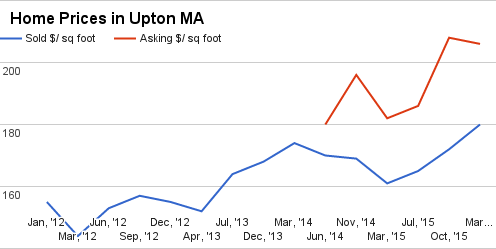 Home sellers will be excited to see this report in Upton, MA. 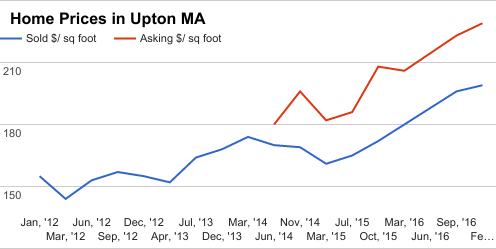 Prices have moved up sharply from last year, and look headed to keep moving higher. Clearly, home seller optimism remains well above the trendline. Home Prices are up - but home seller expectations are up even more.